Concert hall, built 1894 by Sidney Badgley. Opened 14 June 1894 with Handel's "The Messiah". Originally 3500 seats. Renovations in the 1940s. Now 2765 seats. Used for classical and pop concerts. 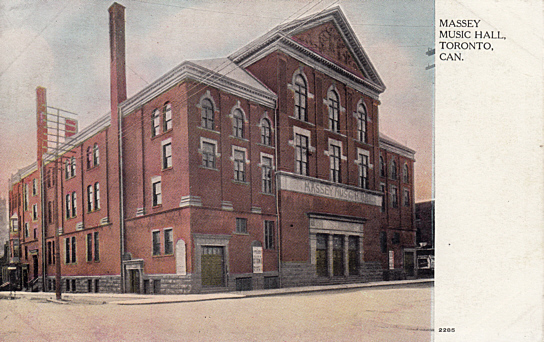 Front Text: "Massey Music Hall, Toronto, Can."